Older people believe their well-being is under attack through a combination of cuts to community services, poor care at home services and failings in hospital care, putting an overstretched NHS under even greater pressure, research from the WRVS released today shows. The findings by the WRVS, which provides services to lonely and isolated people, show that the cuts are leading to the danger of increased isolation among older people increasing the risk of depression, which often leads to physical ill-health. It found that many older people have concerns that some services and professionals – particularly health services – are falling far short of expectations due to cuts with delays among people being discharged from hospital now 12,433 above the level since the introduction of the public spending cuts. Cutting the number of older people admitted to hospital could save the health service £2bn a year. The report forms the first part of the charity’s three-year Shaping Our Age project, which is a partnership between WRVS, the Centre for Citizen Participation at Brunel University and the Centre for Social Action at De Montfort University. 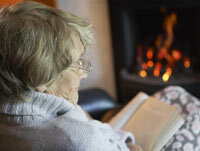 The project aims to provide new ideas and insights to the emerging issues around ageing. It is based on qualitative responses from 165 individuals from across the UK representing older people from all walks of life and examines older peoples’ views about the scope, quality, availability and importance of public services for older people. ● There is a tangible impact on older people, the wider community and the UK economy as a result of cuts to public services designed to prevent older people from being isolated. ● The level of practical support available to older people to enable them to continue living in their own home is not sufficient. ● There are significant failings in hospital care for older people – poor treatment from hospital staff, poor hospital hygiene and low disability awareness. ● There is evidence that unacceptable older people’s care is present throughout the public sector, which is sparking concern about the quality of public services more broadly. David McCullough, WRVS chief executive said: “Overcoming loneliness and isolation is one of the most important aspects to maintaining or improving quality of life. “It adds to the weight of evidence which shows that loneliness is a genuine health risk and if undetected, can lead to expensive and avoidable stays in hospital.